Wet N Wild has came out with these new brush cleansing cloths that clean your brushes and remove makeup with ease. These are great for eye and face brushes that need to be cleaned quickly for use. Of course they don't replace deep cleaning them, but these do come in quite handy. Find out more and how well they actually work below! Today I have a look at what's inside the December Beauty Box 5. This month was a great box with products from Ofra, Prestige Cosmetics, and more. The theme of the month is smoky season and every single product in the box is full size! See more info and what's inside below! Contouring and highlighting can be a challenge for some, but now Pur Cosmetics has made it easy with their new dual-ended contour sticks. These come with two shades that emphasize your natural highlights and lowlights while blurring the look of imperfections like dark spots and fine lines. Find out more about these and see swatches below! Micellar Cleansing Water has become a staple in my skin care routine and I'm so excited that Garnier now has their own. I have been hooked on Bioderma since the first time I tried it, but it can get expensive to keep buying it once I run out. Then I found the one from Simple which was great and something pretty easy to find in retail stores. This Garnier Micellar Water has been the best of them all and I have more info about why below. Today I have swatches of the new Urban Decay Gwen Stefani eyeshadow palette. As soon as I heard there was going to be a collaboration between Gwen and UD, I knew I had to get the palette in my hands. I've always been a huge fan of hers and now it's finally time that she made something in the beauty industry. The palette comes with 15 eyeshadows with 12 of them being new and exclusive shades that Gwen herself picked out. See more swatches and more info below! 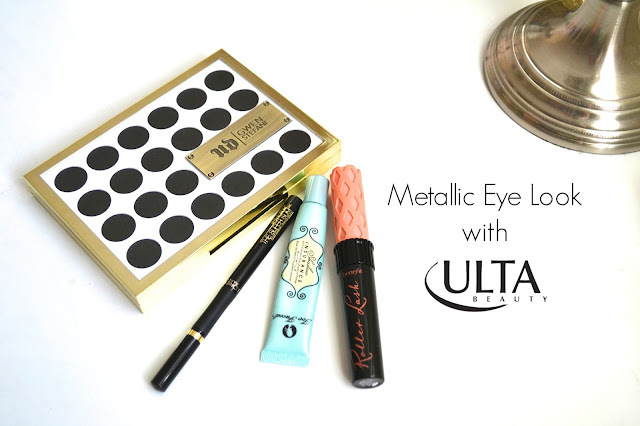 Today I have partnered with People StyleWatch and Ulta Beauty to create a metallic eye look that is perfect for the holidays. I decided to use the Urban Decay Gwen Stefani Eyeshadow Palette and a few of my favorite products. Below I have the steps I did to create a simple gold metallic look. It's time to start holiday shopping which can be challenging when your trying to find the right gift for the men in your life. Don Roberto Jewelers feature some great gifts like watches, rings, and more. There are many items to choose from, but I'm featuring a few watches that are my favorite. Here are some great gift ideas that are perfect for men during this holiday season. Urban Decay has partnered with Gwen Stefani on making not only an eyeshadow palette (which I will have a review of soon), but also new lipsticks. I decided to bring back Sample Saturday to show you the four sample shades of the lipsticks that I received when I order the palette. See swatches and more info below! Today I have a look at the e.l.f. Illuminating Palette that comes with 4 shades that you can use together or each on their own to highlight. I was hoping that this palette was going to be a good alternative to those higher end highlighters. Find out more below on my thoughts on this! Now that there is colder weather, it's the best time to make sure your skin is hydrated and smooth. LATHER has an Almond Creme Body Buff that exfoliates the skin and helps it feel softer, smoother, and moisturized. This is one of my favorite skin care products and you wouldn't believe how amazing it smells. I love the almond scent and it's not harsh at all. Find out more info below! Today I have a look at one of the new holiday sets from Too Faced. This is the Melted French Kisses set which comes with 4 Melted Lipsticks in deluxe sizes. Two are their best selling shades and the other two are new Melted Metal shades. This is a great set for someone that wants to give the Too Faced Melted Lipsticks a try. See swatches below! Farmhouse Fresh has some new toasty products that are sweet and take care of dry skin that happens with the colder weather. There are three new products in the Marshmallow Melt scent: Shea Butter Cream, All Purpose Balm, and Hand Cream. These are perfect for those that love sweet scents that are not too strong. Find out more on these products below. Today I have a look at the e.l.f. Prism Eyeshadow Palette in Sunset. It comes with 6 eyeshadows that look like a powder but feel like a cream. They are silky smooth, pigmented, and all have great shimmer. You can apply them wet or dry and I found them to last longer with an eyeshadow primer. The palette comes with a mirror inside to make it easy to take when traveling. See swatches below. 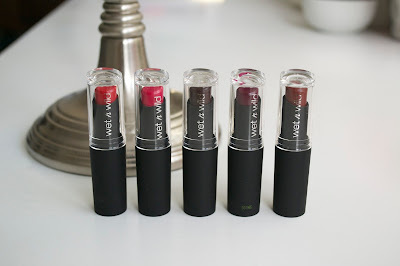 Today I have a look at a few gift ideas for the holidays from Ulta Beauty. What’s great is that they have gift guides to pick from to get an idea of what to choose for the person you know. I have a couple of my picks from the Young & Fab category that I think are great gifts. Find out more below! Dr. Brandt brings an oxygen facial mask in your home to boost the skin’s luminosity and re-energize tired skin. This is a high end skincare product that has a potent formula and is highly effective. There are so many facial masks out on the market, but this one will leave your skin brighter, softer, and more refreshed. I have more info below! ColourPop has three new holiday sets that each come with different products. Fauncy is the eyeliner set, Vixen is the Lippie Stix set, and the one I have is the eyeshadow set called Blitzed. I bought the eyeshadow set since I felt like it would be the one I would get the most use out of. It comes with 6 eyeshadows that vary in finishes from metallic to pearlized and also matte. See more swatches and more photos below. I'm not really sure why I haven't tried this lip exfoliator before, but I now know why this is a best seller from e.l.f. Cosmetics. It's an easy to apply exfoliant that helps to get rid of any dryness to the lips. I've used more expensive lip exfoliators in the past and this is as good as others I've tried. Find out more info below! Fall is here with the cooler weather, so it's the best time to be on the lookout for new accessories for your fall outfits. Macy's is one of the stores I love to shop at because I can find some great jewelry pieces and fall essentials. 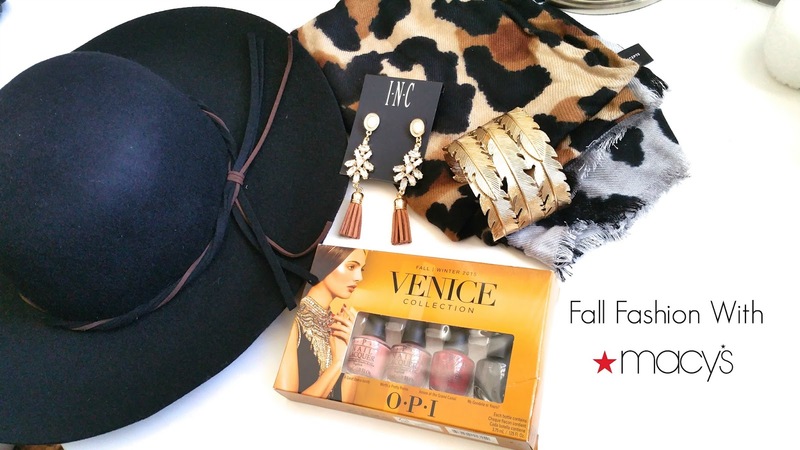 Here I have a look at a few things I was able to put together thanks to Macy's. This month, Boxycharm's theme is Faces of the Moon and the products included are great quality and like always they are full size. Boxychram really did a great job this month and everything in the box are things that I have been using in my makeup/skincare routine. The value of this box alone makes it worth the price you pay. Today I have a look at a new felt tip liquid liner from Hard Candy that has a different and unique type of tip. It comes with a “triple ball tip" that goes from big to small which is supposed to make it more pigmented and to make your liner thicker or thinner depending on how you use it. The liner is made to last up to 12 hours and will not smudge or smear. Find out my thoughts below! 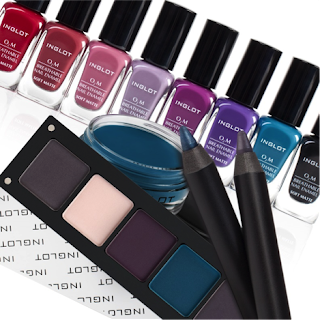 INGLOT is introducing a matte collection that consists of AMC Eyeliner Gel, Freedom System Eye Shadow Matte, Kohl Pencil, and O2M Breathable Nail Enamel Soft Matte available in new trendy colors. There is more info below! It’s fall and the perfect time for pumpkin everything, so here is a facial scrub that I am sure you will love. This Exfoliating Pumpkin Facial Scrub is one of my top favorite skincare products since it works very well and it has this amazing fall-like smell that I love every time I use it. You can even use it as a body wash which I have tried a few times but I’m afraid to use too much since I don’t want to run out. Find out more below! Today I have a look at a few e.l.f. 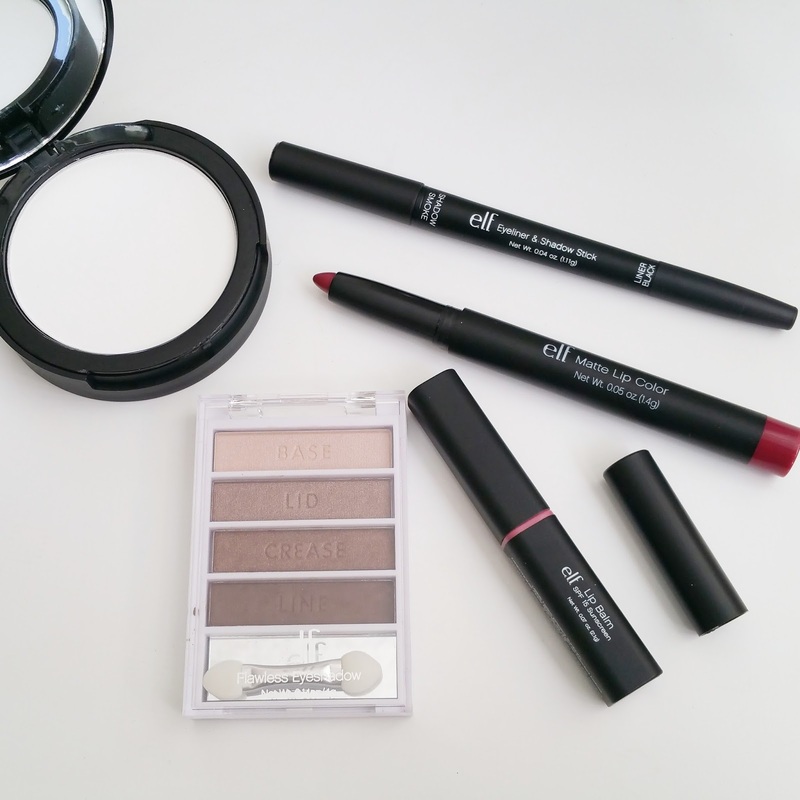 Cosmetics that are great to use everyday and are always affordable. After swatching and trying them all, I was happy to see that they are pretty good quality products. The e.l.f. Lip Balm I wasn't able to try since it ended up getting melted from the heat, but everything else I have reviews of. I have a few favorites, but overall they all ended up being products I can incorporate into my everyday makeup looks. Find out more on these below! Today I have a look at Nail Butter which is a nail and cuticle treatment. I have used different nail treatments either on the cheap end or a little more expensive. Nail Butter is on the expensive side, but I feel worth it for the quality and how long the jar will last. Also I love that it is in a glass jar which makes it feel more luxurious. I have a quick review below! There is a new Target Beauty Box! This time it features products from L'Oreal and comes with 7 products to try. Everything is a $16 value for $5 and free shipping. It looks like the mascara is full size with the other products either being deluxe or regular samples. Find out more info and the link to buy below! There are new nail polishes from Sally Hansen that are perfect for fall. The 4 shades that I have are inspired by different designers. Each one only needed 2 coats and a few were more sheer than the others. They are limited edition so if you find them in stores, pick them up right away. See swatches below! Today I have a look at something that will help keep your hair in place and not make a dent or any kind of imprint all day long. Invisibobbles are these small hair rings that stretch and wrap around your hair gently while also holding the hair with a good grip. I had my daughter help me to show how they look and I have more info below! Today I have a look at what's inside the September Boxycharm. It is filled with so many great products and the theme is Runway Ready. If you don't know about Boxycharm, all of the products in the subscription box are full size and this month even came with a bonus item. Every month Boxycharm has not been disappointing and the products are always great. Find out more about the products below! It's the first day of fall but that doesn't stop me from using a sunscreen, especially since it still feels like summer most of the time here in Los Angeles. Tatcha has a new sunscreen that is non-greasy and tightens the pores which helps to act like as a primer before makeup. This is great for all skin types, but I'm loving it for my sensitive skin. Find out more information below! Today I have a look at a few of the L.A. 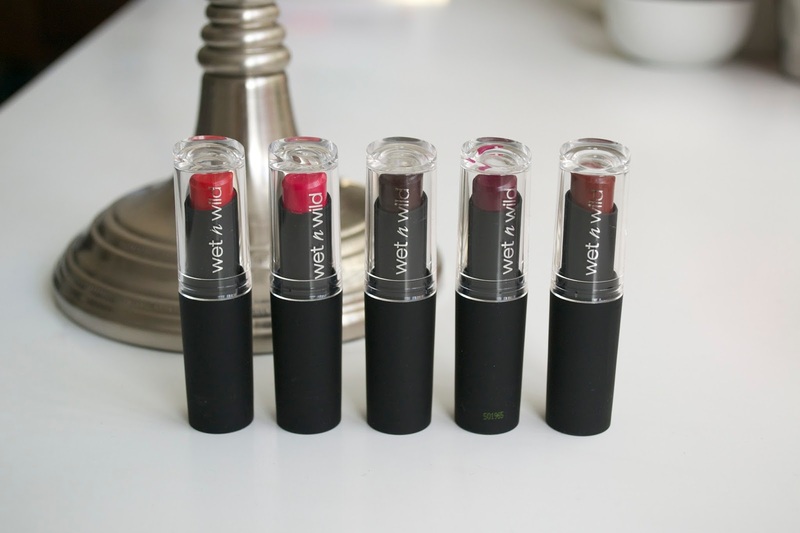 Girl Cosmetics Matte Flat Velvet Lipsticks. I love the finish of matte lipsticks but sometimes I don't like when they can be drying and uncomfortable to wear all day. These lipsticks from L.A. Girl are so pigmented, last all day, and are moisturizing on the lips even for being matte. I was really surprised yet so happy that these are great quality. See more photos and swatches below! 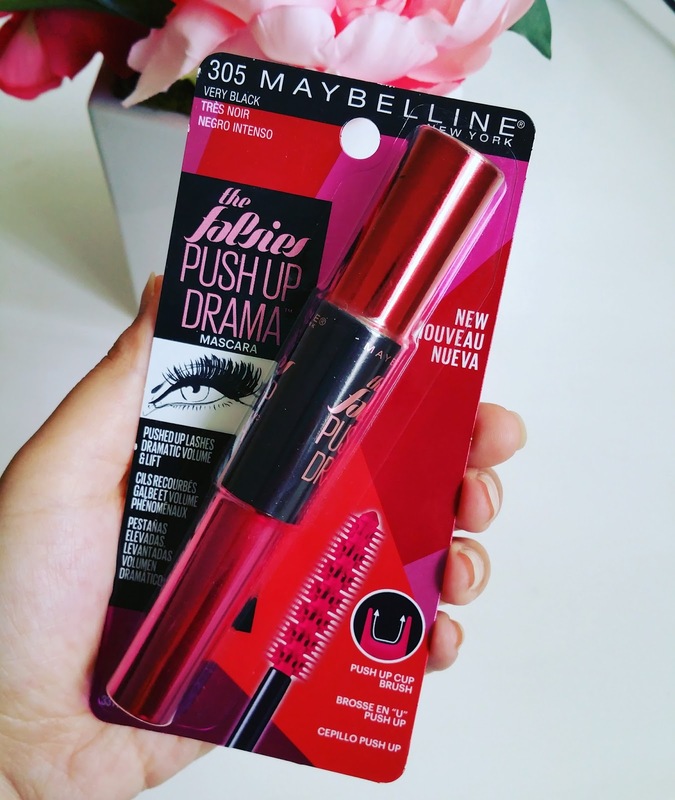 Maybelline has a new mascara out called The Falsies Push Up Drama Mascara and I picked it up recently at Target. I was really interested to try this since it has a different kind of brush with "U" shapes to push up the lashes to give lift and dramatic volume. I was hoping to love this and it would be a favorite but that didn't happen and I'm going to explain more below! It's almost starting to feel like fall so I decided that I need more dark lipsticks shades and e.l.f. had some that they came out with recently. The four shades I bought online are: Bordeaux Beauty, Black Berry, Marsala Blush, and Berry Kiss. The swatches didn't come out as pigmented as I expected but I still think these are good quality and you can't go wrong with the low price. See more photos below! Here is a look at some of the Bodyography Skin products that I have been using for weeks now. These are mostly part of my night time skin care routine which is really important since that is the time that skin care product can really work best for the skin. There are three products I have more info about: Hydrating Mask, Night Treatment, and Overnight Serum. Find out about them below! Today I have some quick reviews of a few of the Nugg Beauty Face Masks. I spotted these at Target and thought they were worth trying out since the price was inexpensive and I really liked the packaging. They offer 6 different face masks that are all under $4 each. I went with the two I knew would be great for my dry skin which was hydrating and exfoliating. Find out what I thought below! Today I have a look at some of the NYC New York Color Cityproof 24 HR Waterproof Eyeshadows. These are made to last all day and night without budging or smearing. They can be used as an eyeliner or eyeshadow. There are 12 shades to choose from ranging from darks to neutrals and even some bright colors. The three I have are more on the dark and neutral side, but they are the shades I would get the most use out of. See swatches below! Today I have a review of the Cover FX Blemish Treatment Primer and also the Cover FX Blemish Primer Brush. They really go together and make applying the product more easier and more hygienic. Even though I don't use this all the time, it a great product to have when any annoying blemishes pop up and I need something that is going to work quickly and efficiently. Find out more info below! Even though I've had this polish for a while, I wanted to make a blog post with more photos and a swatch pic since I have major love for the ILNP brand. This is actually my first polish from them that I bought and it's already made me so excited to buy more. It was hard to choose just one, but I ended up with I See You from their summer collection. See more photos below! Today I have a review of the LANEIGE Multiberry Yogurt Peeling Gel and Repairing Mask. These two products have been essential at keeping my skin smoother, softer, and hydrated. These products provides anti-inflammatory benefits from Sogurty which is a specialized fermented yogurt. They also have a nice raspberry scent that is light and refreshing. Find out more on these below!